Another powerful film by Cannes Best Director Brillante Ma. Mendoza is set to captivate the viewers' sensibilities. 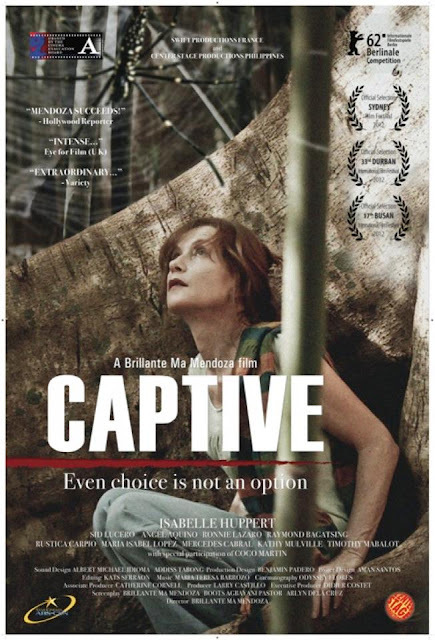 Captive (2012) is presented by Swift Productions, in association with Centerstage, B.A. Produktion, Studio Eight Productions, and Arte France Cinema. It is the Official Philippine Entry to the 2012 Berlin International Film Festival. To date, the film will be showing in France, Germany, Great Britain. In the Philippines, it is scheduled to to have its commercial run beginning September 5, 2012. Rated “A” by the Cinema Evaluation Board, Captive is in English, Tagalog, French, Tausug, Hookien, Chavacano with English subtitles. Running time: 122 minutes. On May 27, 2001, the notorious Abbu Sayaff Islamic militants raided the peaceful paradise island resort of Dos Palmas in the picturesque province of Palawan. During the hellish ordeal, the Islamist separatist group seized a total of 20 hostages who were mostly guests of the resort- a mix of local and foreign tourists. 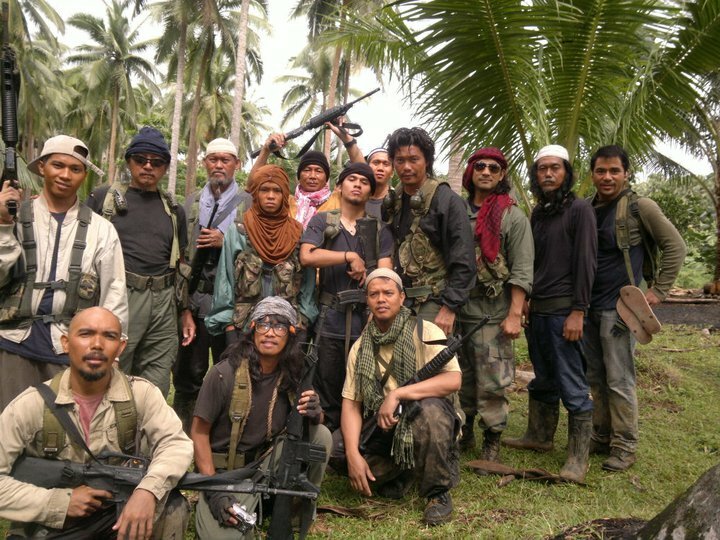 The hostages were eventually taken hundreds of miles south to Mindanao, the region home to the terrorist kidnappers. News of the incident instantly spread around the globe. One online report from the United Kingdom’s The Telegraph tells how the event unfolded. This unforgettable crisis eventually resulted in the death of several hostages. Among the casualties was Martin Burnham, an American citizen, who was taken together with his wife, Gracia Burnham who, with her courage and faith in God, survived the horrendous trial after more than 1 year in captivity. She had become the most well-known face of this haunting incident that will forever be written on the pages of Philippine history. The experience inspired her to establish the Martin and Gracia Burnham Foundation that helps fund both Muslim and Christian missions. Although mainstream media have given its focus more on Gracia Burnham’s fight for freedom, it is however undeniable that human sympathy reached down to all innocent civilians that were involved. Our humanity grieved for all that were lost: the soldiers who died in the fight to free the captives; and the victims who perished along the way.